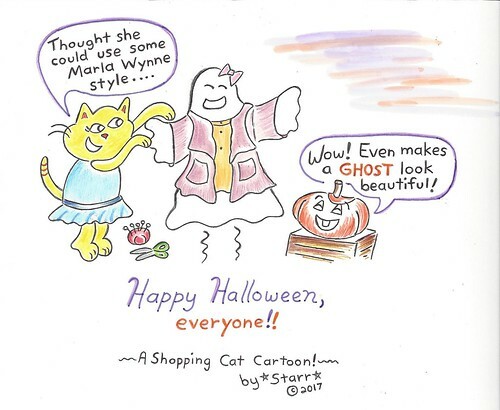 HSN Community / Forums / Fashion / A Halloween Cartoon, for Marla Wynne Fans! A Halloween Cartoon, for Marla Wynne Fans! That is so nice to hear! I think you guys just made my day! (your daughter, right? LOL) for the kind words, too. computer–and that’s all I’ve got to work with, right now. This reply was modified 1 year, 6 months ago by jollyjelly. LOL Starr, another great cartoon! Do you do cartoons professionally? I did do well in a big design contest, a while ago.